On March 31st, the Los Angeles County Board of Supervisors unanimously approved a measure to create a commission to study the use of instant runoff voting for special elections. 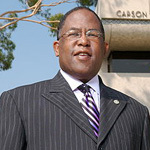 The measure was introduced by new Supervisor Mark Ridley-Thomas. It came on the heels of a March 24th special primary election to fill Ridley-Thomas' former State Senate seat in which only 6% of registered voters bothered to show up at the polls for an election that cost taxpayers $2.2 million. It was the fifth election local voters have been asked to vote in within the past year, which Ridley-Thomas said contributes to "voter fatigue." The commission will report back to the Board on May 26th on the feasability of using IRV for county elections. State Assemblymember Ted Lieu is expected to introduce a similar measure to enact IRV for state special elections soon. In California, IRV has already been adopted by San Francisco, Oakland, and Berkeley. Recommended by Robert's Rules of Order for certain organizational elections, instant runoff voting is used widely among organizations and on campus, including organizations with tens of thousands of members like the American Association of University Women, American Chemical Society, American Medial Student Association, American Mensa and the American Political Science Association. More than four dozen colleges and universities use IRV for student elections. Its results are excellent. 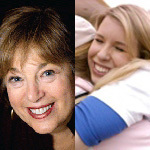 March 2009 elections include hotly contested elections for student government president at NC State and the University of Toledo, and for the leadership of the American Psychiatric Association, which is the largest association of psychiatrists worldwide, with approximately 38,000 members. 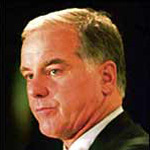 On March 16th, Former Vermont Governor and Democratic National Committee Chair Howard Dean continued his support for instant runoff voting on Vermont Radio's Mark Johnson Show. Commenting on Burlington's recent IRV election, Dean said "I think the best and most democratic way to use to elect people in multiparty elections is instant runoff voting." Dean also supported the system when it was first used in Burlington in 2006. Dean is part of a growing list of prominent politicians who have shown support for the system, including President Barack Obama, United States Senators John McCain and Bernie Sanders, U.S. Congressmen Dennis Kucinich and Peter Welch, and former U.S. Congressman John Porter.